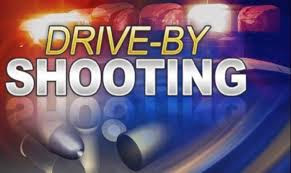 Stockton, Calif - A Stockton man was wounded yesterday as the result of a drive-by shooting. Early Thursday afternoon the 20-year old male victim was walking on the 1600 block of Erickson Circle in the Seaport district when a four-door vehicle pulled up nest to him. A passenger in the car pulled a gun and shot at him. The victim ran to his home in the area and did not see that he had been shot until he arrived there. He was shot once. He was transported to a local hospital for treatment of a non-life threatening wound. The suspect was described as a Hispanic male adult last seen wearing a grey hoodie.